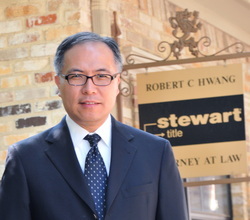 Our Firm - ROBERT C. HWANG, P.C. Our law firm, has been serving its clients since 1992. It was founded by our principle to serve one client at a time with quality representation. Our staff is devoted to helping you, listening to your needs and working through your situation in a professional manner. Our firm has successfully handled thousands of cases including personal injury, criminal cases, business/commercial transactions. Our attorney has the knowledge and skills to fight for your case. We know how to help. We offer skilled and highly professional representation in all legal matters. Whether your case involves an auto accident, criminal charge or business/commercial transactions, we can help. Our attorney has the experience and knowledge you need to deal with your legal issues. Contact our law firm at 972-991-3334 to learn how we can help with your legal matter.